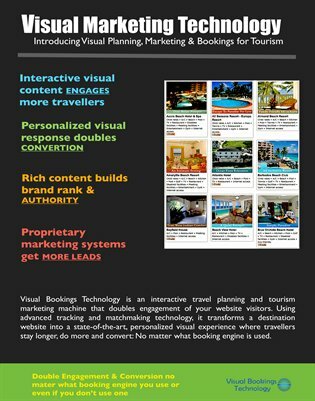 Visual Marketing as described here is an integrated solution for tourism based visual behavior response. The system track users and profile them based on personality traits. Users are matched with travel option and hosts of like character. We have even defined hotel and resort based on personality.